Diplomat author Mercy Kuo regularly engages subject-matter experts, policy practitioners, and strategic thinkers across the globe for their diverse insights into U.S. Asia policy. This conversation with George Voloshin – head of the French branch at Aperio, corporate risk intelligence consultancy in Paris, and author of The European Union’s Normative Power in Central Asia: Promoting Values and Defending Interests – discusses the role of Dariga Nazarbayeva, daughter of long-time Kazkah President Nursultan Nazarbayev, now that her father has resigned. Explain the decision to appoint former President Nursultan Nazarbayev’s eldest daughter Dariga Nazarbayeva as speaker of the Senate amid his relinquishing of power after three decades as the leader of Kazakhstan. To provide context, Dariga Nazarbayeva, who had been serving as a senator since September 2016, was unanimously elected on March 20 as the new speaker of the upper chamber following former speaker Kassym-Zhomart Tokayev’s accession to the presidency after Nazarbayev’s resignation. I wouldn’t overemphasize her new role at this point. In my view, her becoming first in the line of succession to Tokayev, the new president, has no other objective than to make sure that if something happens to Tokayev before the next presidential election due in 2020, supreme power will remain within the Nazarbayev family. To be even more precise, what counts here is not so much to keep the power within the family as to keep it in loyal hands. Dariga had already been out there as a prominent member of the Senate so it was a logical choice. Evaluate Nazarbayeva’s track record in politics and her political persona among Kazakhstan’s power elites as well as the public. 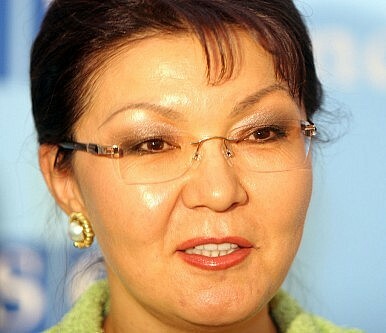 Nazarbayeva’s political career began in 2003 when she founded the Asar public association, which registered as a political party the following year. In 2004, she also became an MP [member of parliament]. Asar was a short-lived project because it merged into the ruling Otan Party in 2006 to form NurOtan. Nazarbayeva stayed on as MP until 2007. She later served as MP in 2012-2015, as deputy premier in 2015-2016, and finally as senator. Despite her long career in politics, it is difficult to pinpoint any initiative, law or program for which she could be remembered. She is invariably viewed by both the public and the elites as a prominent member of the Nazarbayev clan and has long been referred to by the media as “the president’s elder daughter” more than anything else. Her former husband’s exile and trial in 2007-2008 did cause some damage to her reputation, but this chapter is now closed. What challenges and opportunities face Nazarbayeva in establishing her political power base and exercising leadership? If we are talking about her chances to become president after Tokayev’s rump term ends, Nazarbayeva faces the same problem that any high-profile representative of the Nazarbayev system does. In her case, the old “baggage” weighs more because she is Nursultan Nazarbayev’s daughter. Some observers argue that she has no chances as a woman; I don’t share this opinion. Her main weaknesses are her clear perception as a leftover of the old system; her having a non-negligible number of adversaries within the political establishment; and the fact that her family controls significant economic resources, which are often a source of inter-elite disputes. I don’t believe Nazarbayeva will manage to assert herself as Tokayev’s permanent successor without her father’s continued support. I do believe, though, that while he’s alive Nazarbayev will seek to hand-pick as Tokayev’s successor either a lesser-known member of his clan or a young outsider he can trust. How might the national and international agenda of the next president – whether Nazarbayeva or not – look? Will the new leader continue in Nazarbayev’s path or forge a different course for Kazakhstan? My answer will apply to both Nazarbayeva (whom, like I said earlier, I don’t personally see as president) and any other individual who may eventually succeed Tokayev and thus make sure the succession process is successfully concluded. I do not expect any notable changes either domestically or internationally. First, the succession’s main goal is to perpetuate Nazarbayev’s legacy and ensure continuity by means of a status quo – to be eventually supplemented by gradual reforms. Second, Kazakhstan’s geography and demographic makeup continue to make multivector foreign policy and a domestic policy focused on overall socioeconomic stability and interethnic peace the only viable options. Kazakhstan will strive to remain friends with Russia, China, the West, and the Islamic world. Identify policy leverage points on how the United States should engage the new Kazakh leadership. Throughout history, the United States’ engagement with Kazakhstan and broader Central Asia has been characterized by the emphasis on democratization and political liberalization, mutually beneficial economic ties, and wider security cooperation aiming to address U.S. concerns in Eurasia. Unlike Russia or China, the U.S. has few direct geopolitical stakes in the region, with the exception of Afghanistan, which has led to the use of some Central Asian states’ territories for air transit. In my view, the best recipe for successful U.S. diplomacy in Kazakhstan is pretty much the same: 1) Offer tangible economic cooperation, both in traditional areas such as oil and gas and new ones based on government priorities; 2) Help shape further democratization without giving lectures on morality; 3) Continue to be seen as a largely impartial player and, at the same time, be willing to play on the differences between two regional powers, Russia and China. Why Is the Kazakh President's 'Cold' Making News? Because it’s a decent lede into a discussion of politics and presidential succession.